Coming soon — our first LOD-Book! In 1908 James Minahan arrived in Australia after 26 years in China. Born in Melbourne, as a small boy he was taken by his Chinese father to live in his ancestral village in rural Guangdong to be educated in Chinese. Growing up in China James remembered little of the country of his birth or of his Irish-Australian mother, but Australia was always part of his plans for the future. His father had kept shares in the store he had run on the Indigo goldfields in the 1870s and, as an adult, James planned to return there. 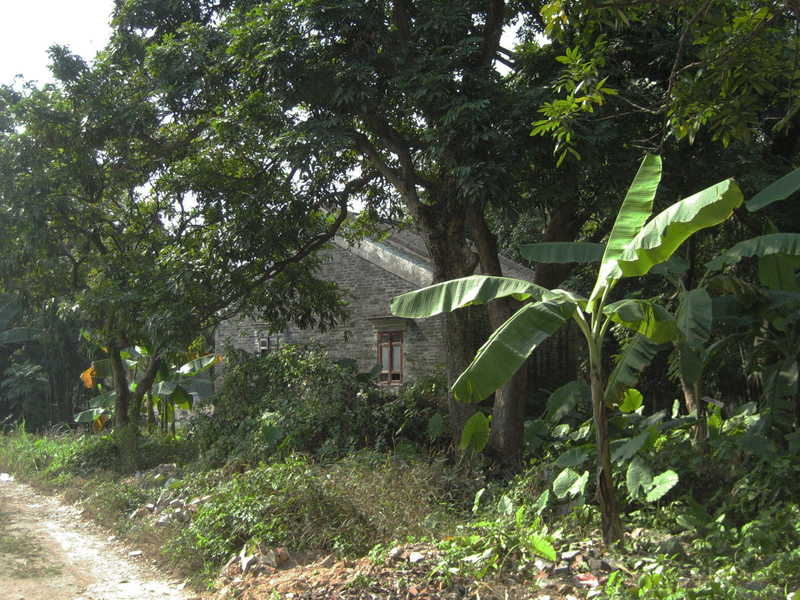 A scene in Shek Quey Lee village, where James Minahan lived from 1882 to 1908. This abandoned house was built with Australian remittances. What he found on his arrival in the newly federated Australia, however, was that being born in Australia did not guarantee a right to live there if you were deemed to be Chinese. No longer able to speak the English of his Victorian childhood, James was made to sit the infamous Dictation Test, which he failed. After he was arrested as a prohibited immigrant, the Chinese community rallied around him and began legal proceedings to have him released. James Minahan’s case made it all the way to the High Court of Australia, who ruled in his favour. He was allowed to remain in Australia. A century later, the High Court’s decision in Potter v. Minahan continues to inform the legal interpretation of what it means to be an Australian. Who is an immigrant? Who is a member of the Australian community? Who belongs? Who doesn’t? In James Minahan’s Homecoming historian Kate Bagnall tells the story behind the Potter v. Minahan High Court case for the first time. Like this? Take a second to support Tim Sherratt on Patreon! I'm a historian and hacker who researches the possibilities and politics of digital cultural collections.